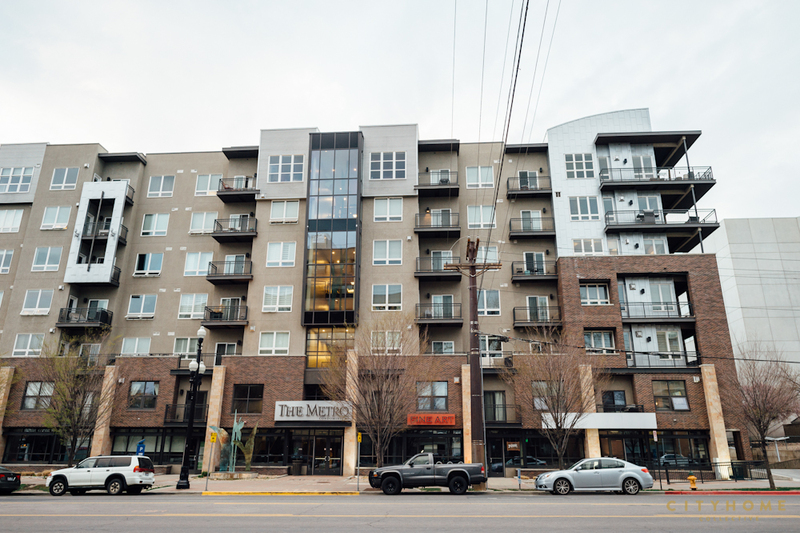 The ideal live/work spaces in The Metro include street-level office or retail space, second-level residential space, and an interior stairway with direct access to secured parking. Residentially speaking, the Metro is a secured building that includes parking, a specially-landscaped dog run, a terrace, a hot tub, and a permanently installed BBQ area, to name a few perks. One tremendous advantage of living at The Metro is the access to all things ‘downtown’: Library Square and TRAX are just across the street; the new Harmon’s, City Creek, and Gallivan Center are within 2-3 blocks; gallery stroll, Salt Lake Pride, and the Utah Arts Festival are right outside your front door [along with numerous restaurants, parks, etc.]. Views from these condos are varied and gorgeous, including the city and surrounding mountains.